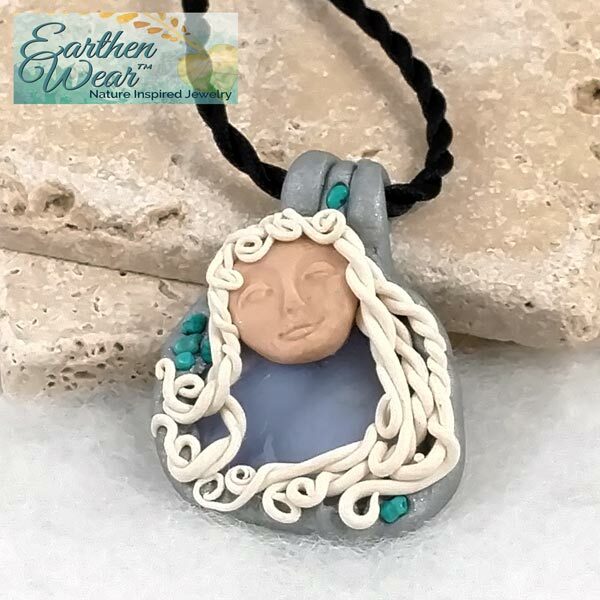 Gaia, the Mother Goddess, in pendant form resting on a beautiful piece of Blue Lace Agate with Sleeping Beauty Turquoise accents..
Hand sculpted in polymer clay, light weight and one of a kind. Pendant is 2-1/8 inches tall and 1-1/2 inches wide. Gift boxed and includes twisted black satin cord (18") included. 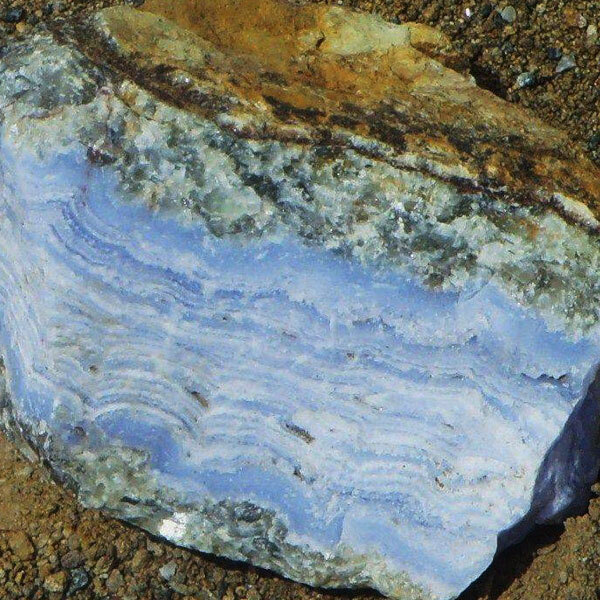 Blue Lace Agate provides easier self-expression, aids in speaking out and validating one's own emotional truths. Offers courage and aids in shyness.